Hint of rich vanilla rounds out the bold, aromatic Arabica coffee bean essence layered with a sweet, dark cocoa medley. Beware the coffee and chocolate addict! Suggested Usage: Shake gently before each use. Pour desired amount into palm and rub hands together for even distribution. 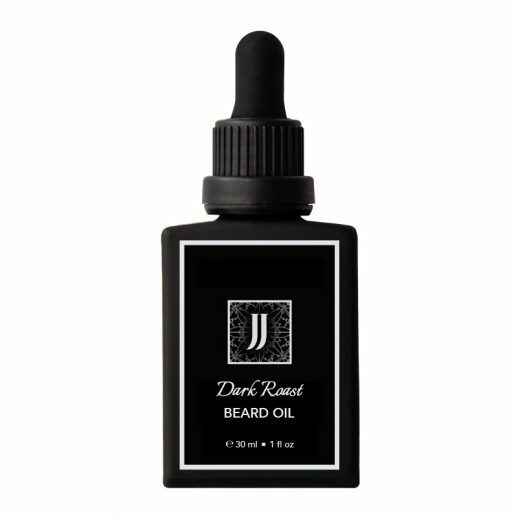 Work oil into the skin, then out to the ends of your beard. Use fingertips to coat mustache hairs. Run comb or brush through beard to tame hair and evenly distribute oil. Apply beard oil after a hot shower when pores are open. Make sure beard hair is dry. Massage any remaining oil into the rest of your face for overall added hydration. Use once a day to keep hair soft and conditioned. The average beard requires 5 drops per application, meaning a 30 ml bottle should last approximately 3 months or +/- 100 uses. I absolutely love the smell of this product!! Just like all of their beard oils it softens the beard, tames those wild hairs, and gives your beard a beautiful healthy shine. I look forward to using it every day!